Conference address: Stavropol (Russia), North-Caucasus Federal University. All inquiries about the conference are directed to: esoterra.asem@gmail.com. The occult – the hidden – has been prevalent in various art forms for centuries. Christopher Partridge coined the term ‘occulture’ in 2004 in an effort to recognise the occult in the everyday, theorising the processes involved when popular culture disseminates occult ideas and beliefs to a wider audience. These occult and esoteric traditions are no longer hidden; instead the culture in which they are embedded has become familiar – they are ordinary and everyday. Visual culture, as part of a broader popular culture, represents a fertile vehicle for the occult to enter everyday consciousness, even when the esoteric origins of those ideas remain unknown to the receiver. This is in opposition to secretive practices of a cultic milieu, when the occult was intended for an exclusive audience privileged with sacred and mysterious knowledge, such as, for example, ritual performances by and for adepts of the Hermetic Order of the Golden Dawn. This session proposes to investigate the reflection and representation of occult ideas, beliefs and practices that manifest in everyday and popular forms of art from the 1870s to the present day. Focusing particularly on performance art, such as theatre and dance, as well as film, photography and print, this session would invite papers to explore occult currents in visual culture from any geographical location. In addition to academic papers, this session would welcome interdisciplinary approaches from performers and artists. Please email your paper proposal direct to the session convenors. You need to provide a title and abstract (250 words maximum) for a 25-minute paper, your name and institutional affiliation (if any). Due to an unforeseen circumstance, ESSWE7 conference date has changed to 2-4 July, 2019. To register, please see ESSWE 7 CfP under Agenda. POLESO is an academic network for scholarly discussion about the relation between politics and esotericism. It falls under the auspices of the European Society for the Study of Western Esotericism (ESSWE). 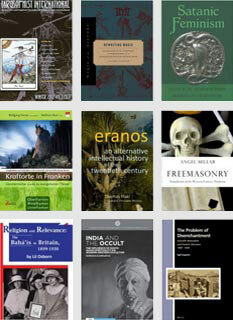 POLESO’s historical scope is not limited to modern or contemporary society but includes the study of historical developments from antiquity to the present. Culturally and geographically, the focus is on Western culture understood in a broad and inclusive sense, while taking into account the relevance of interactions with non-Western contexts. As an academic network committed to critical scholarly debate that seeks to stimulate objective knowledge and understanding, POLESO does not provide a context for political advocacy or activism of any kind. The “Network Italiano per la Ricerca Scientifica sull’Esoterismo Occidentale” (NIRSEO) has been founded by Marco Pasi (University of Amsterdam), Michele Olzi (Università dell’Insubria), and Simona Cigliana (independent scholar) during a foundational meeting held in Rome on 29 May 2017. The main coordinator is Marco Pasi. The network is at this moment especially active through a Facebook page (https://www.facebook.com/groups/204384690085333/) and a mailing list for the exchange of information and news. 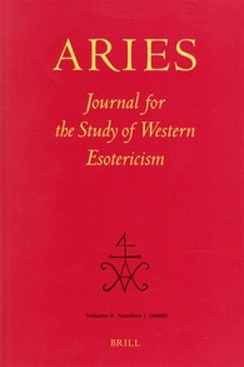 The aims and goals of the NIRSEO are: 1) To promote the academic study of Western esotericism by Italian scholars, whether resident in Italy or abroad; 2) To promote the academic study of Western esotericism as it may be related to any aspect of Italian history, society, and culture, independently from the nationality of the scholars who carry it out; 3) To facilitate the sharing of information related to the academic study of Western esotericism in Italy or related to Italy; 4) To organise meetings and workshops and to produce publications in its area of interest as defined in the previous points. Au couvent de l'Annonciation, 222 rue du Faubourg Saint-Honoré, 75008, Paris, métro Place des Ternes ou Charles de Gaulle-Étoile. Participation aux frais : 15 € pour le buffet qui vous sera servi après la conférence ; 5€ pour ceux qui ne pourraient pas prendre part au buffet. Soyez assez aimables pour donner réponse afin de prévoir l'organisation. The most recent ESSWE newsletter (Winter 2017, Volume 8, Number 2) is downloadable from here. Western esotericism is usually encountered in texts and images and studied in its ideational and aesthetic aspects. We know a lot about esoteric ideas, worldviews, and aesthetic conventions; but what were the people engaged in esoteric ideas doing? From magic and alchemy to mediumship and channeling, esotericism has an emphatically practical orientation. Accessing and analyzing esoteric practice, however, invites challenges that are rarely addressed in the field. This year’s ESSWE Thesis Workshop will focus on the methodological and theoretical challenges of studying esoteric practice. What kinds of textual and non-textual sources can we use to address practices of the past? Can we access practice through philology? How do we conduct responsible ethnographic work with contemporary esoteric groups? Can we connect historical research with social science methods? What sort of theoretical frameworks might help us grasp esoteric practices, past and present? How does one write a thesis about esoteric practices? The workshop will address these and other questions through a combination of (I) masterclasses with three specialists focusing on different historical periods, and (II) thematic discussion groups where MA students and PhD candidates get the opportunity to talk about their own work with leading scholars in the field. The workshop also includes a career advice session led by a panel of early-career esotericism researchers. The workshop is funded by Riksbankens Jubileumsfond. 13.45-15.00: Group discussions in expert groups. Each student gets to present their research topic and formulate questions to the group. Confirmed participants from the ESSWE board: Andreas Kilcher (ETH, Zurich), Boaz Huss (Ben-Gurion University of the Negev), Egil Asprem (Stockholm University), Henrik Bogdan (Gothenburg University), Wouter J. Hanegraaff (University of Amsterdam), Bernd-Christian Otto (University of Erfurt), Christine Ferguson (Stirling University), Yuri Stoyanov (Warburg Institute), Nemanja Radulovic (University of Belgrade), and Olav Hammer (University of Southern Denmark). 15.00-15.15: Plenum Session: Each group summarizes the most important challenges and topics that surfaced during their discussions. 15.45-16.30: Per Faxneld and Manon Hedenborg-White lead a discussion of job/career related issues (application processes, job opportunities, alternative career paths) relevant to early-career scholars. 19.45: Dinner and drinks at Babajan Bar (Katarina Bangata 75) – N.B. at own expense!